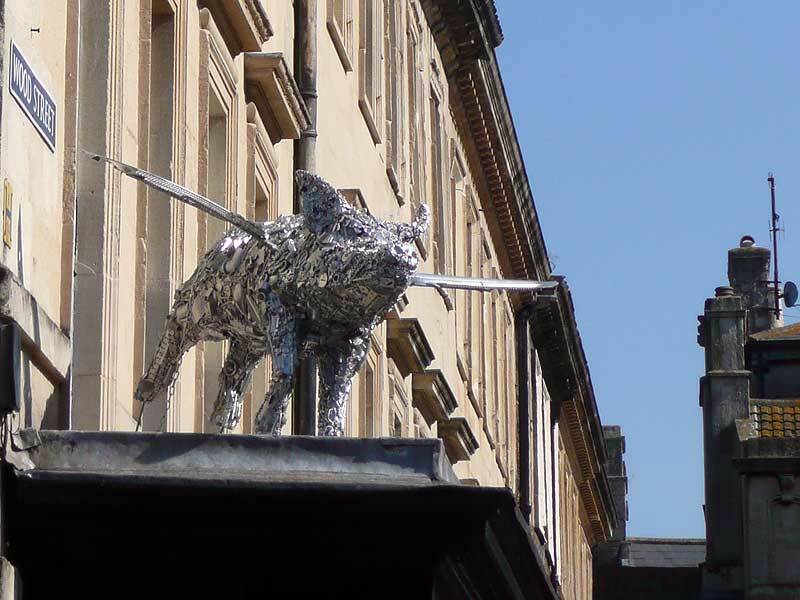 King Bladud’s Pigs in Bath was a summer 2008 public art event to celebrate Bath, its origins and its artists. 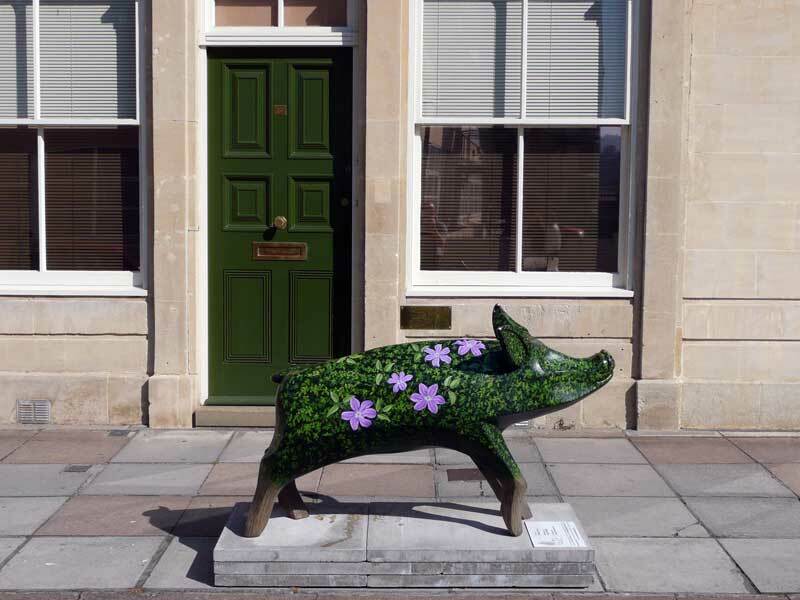 Over one hundred life-size pig sculptures turned into works of art are on display throughout the summer all around Bath and beyond. I managed to find 59 pigs – all of the photos are here. 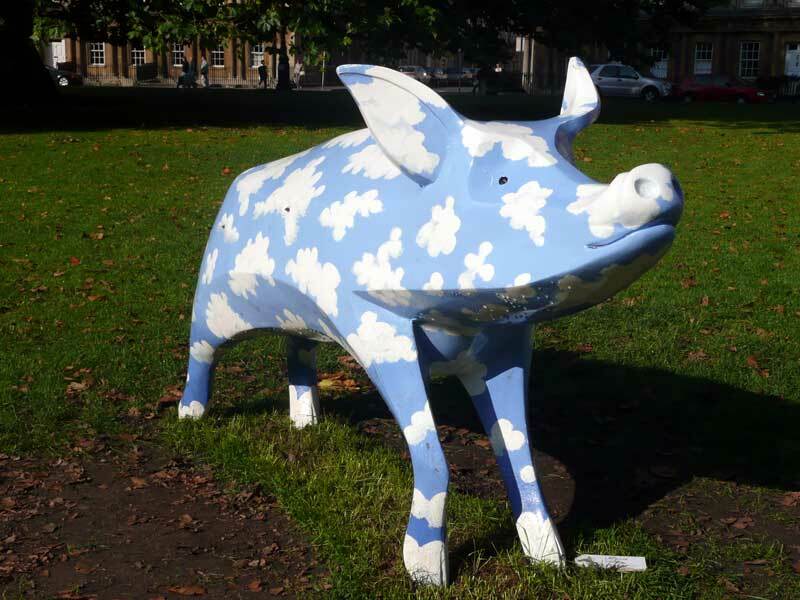 All the pigs are due to be rounded up at the end of the month, and auctioned off in October. 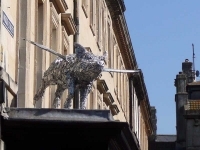 I hope they will be herded into one area prior to the auction as I would certainly head back to Bath to check them out. 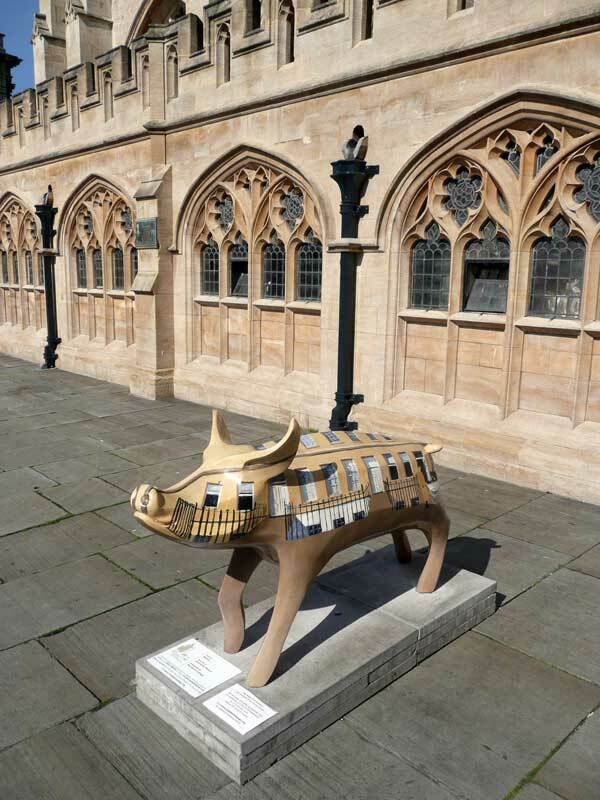 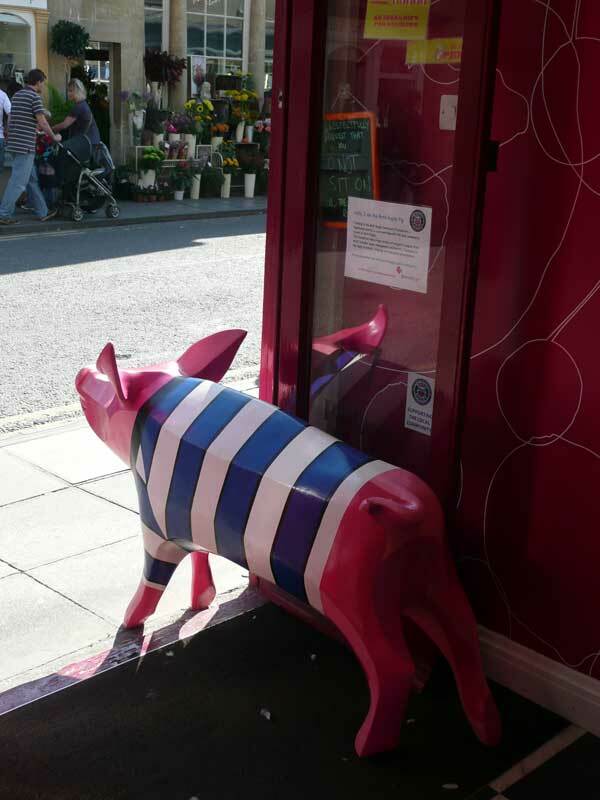 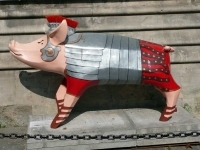 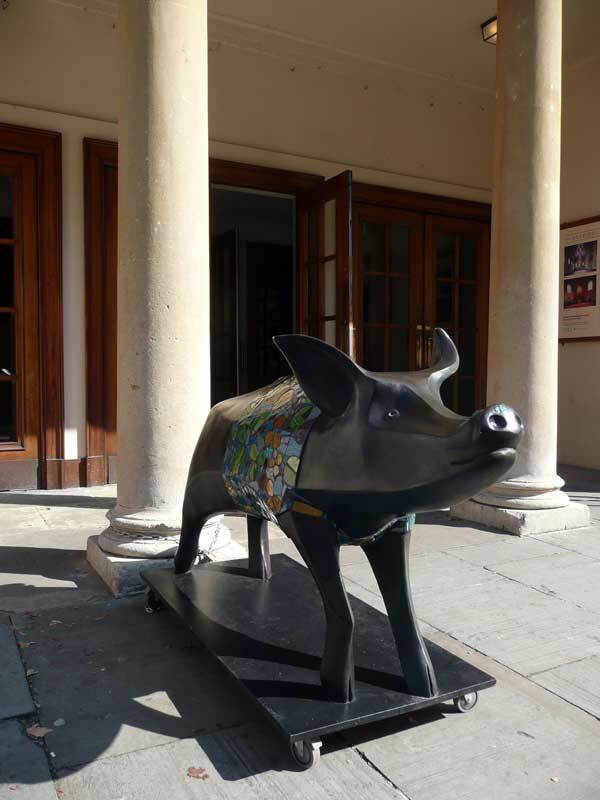 This entry was posted in Places and tagged Art, Bath, Pigs, Sculpture, UK by Christopher. Bookmark the permalink.